The Illusionists are gearing up to make magic again this holiday season. The acclaimed masters of illusion will set up shop at Broadway's Marquis Theatre, where they first played the Great White Way in 2014, with a new show titled The Illusionists—Magic of the Holidays, beginning performances on November 23 for a run through December 30. The Illusionists—Magic of the Holidays will bring master entertainers Adam Trent, Darcy Oake, Colin Cloud, Shin Lim, Chloe Crawford and Light Balance to the Broadway stage. In addition to creative producer Simon Painter, the creative team will include executive producer Tim Lawson and director Neil Dorward. The Illusionists previously played three holiday engagements on the Great White Way, appearing at the Neil Simon Theatre in 2016 and the Palace Theatre in 2015 following their 2014 debut run at the Marquis. 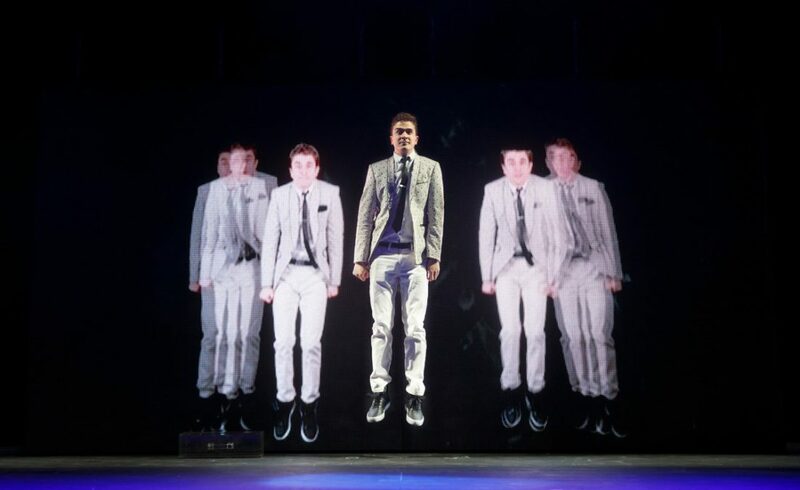 The high-tech magic extravaganza has toured extensively both in the U.S. and abroad, including Mexico City, London, Dubai and Sydney. Look back at The Illusionists' 2014 Broadway premiere run below.